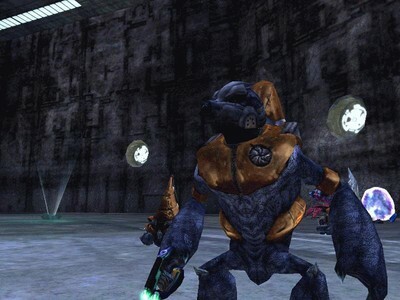 In order to play the Custom Map Team’s (CMT) singleplayer maps, you will the Halo Custom Edition program for the PC, called Halo Custom Edition or Halo CE, you can obtain the game from the "Offical Halo CE Files" section of the website. to Install the game simply execute the file and follow the on screen instructions just as you did with the original Halo PC installation. When prompted for your product key, use the same product key which came with your Halo: Combat Evolved CD, then proceed on with the on-screen instructions. When finished installing, choose not to run the game immediately and close the installer. Now that Halo CE is successfully installed, you can move on to downloading CMT’s singleplayer campaign maps. You can find the CMT Version - Single Player Levels in the "Single Player CE Maps" section of the website. They will be labled "CMT Version". Note that there are regular and other optionsl single player versions available for download. Some of these single player maps have the same file name as others. The Halo CE game can only recognize the fixed file names on the single player levels (unlike the Multiplayer levels which must have unique names) so you should backup any existing Halo CE single player maps before installing those downloaded from this website. When finished downloading, open up the archive file. Because the file is an a *.zip archive, you will need a shareware utility such as WinZip or WinRAR to open and extract the archive. Extrace the maps to the C:\Program Files\Microsoft Games\Halo Custom Edition\maps folder. Note: Backup any existing single player maps BEFORE overwriting them with the new ones. To play the map files, you will need to download a replacement UI (User Interface) Map file replacement. You can download one from the "Custom UI Files" section of the website. NOTE: The UI file MUST support the campaign menu option. Some replacement files do not. For a list of known UI files that do support the Campaign menu see How Do I Play the Single Player Campaign Maps in Halo CE? Once the files are extracted, you are now free to play the game. With your Halo CD in your drive, open up Halo Custom Edition. You should now be able to play the mod.